With the announcement that the Kentucky Theatre will soon be closing for its first major renovation in a couple decades, it is important to remember her little neighbor that has become part of the two-screen gem at the heart of Lexington: the State Theatre. 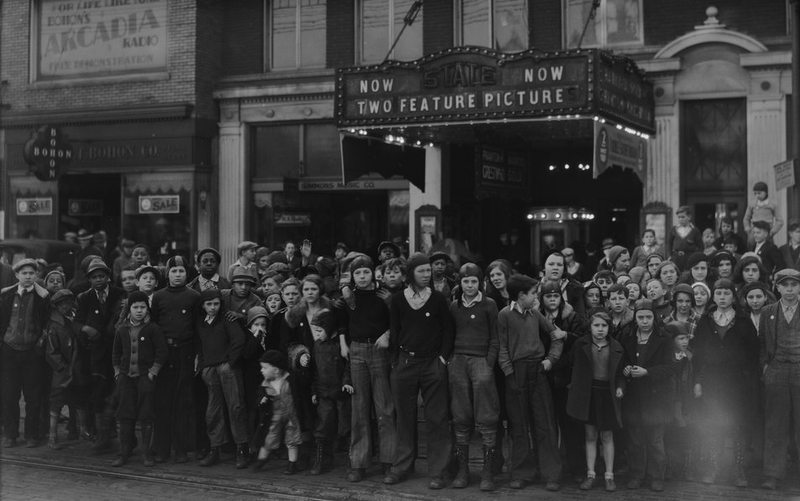 The 80-year old photo above depicts a large number of children gathered on Main Street in Lexington under the marquee of the State Theatre. The "Two Feature Picture" includes The Phantom of Crestwood which was released on October 14, 1932 and Haunted Gold which was released on December 17, 1932. The latter film depicted John Wayne as John Mason in what is considered an early Wayne western. Apparently, Mason returned to the Sally Ann mine to collect his share. Do you have fond memories of the State Theatre? Share them in the comments! A good number of you guessed the correct location of the old Coca-Cola bottling plant on Lexington's West Short Street. A handy clue was the extant antique store and Catholic church which remained in the right edge of the frame. Now at this location are the Opera House Square town homes. So everyone there should pay homage to history and stock their fridges with a little Coca-Cola. 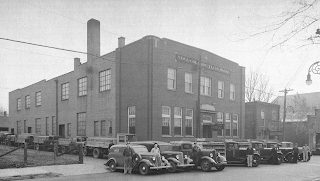 Congrats to Brian who was the first to correctly guess the location of the old bottling plant, even if he (and everyone else) waited until Sunday to take a look!